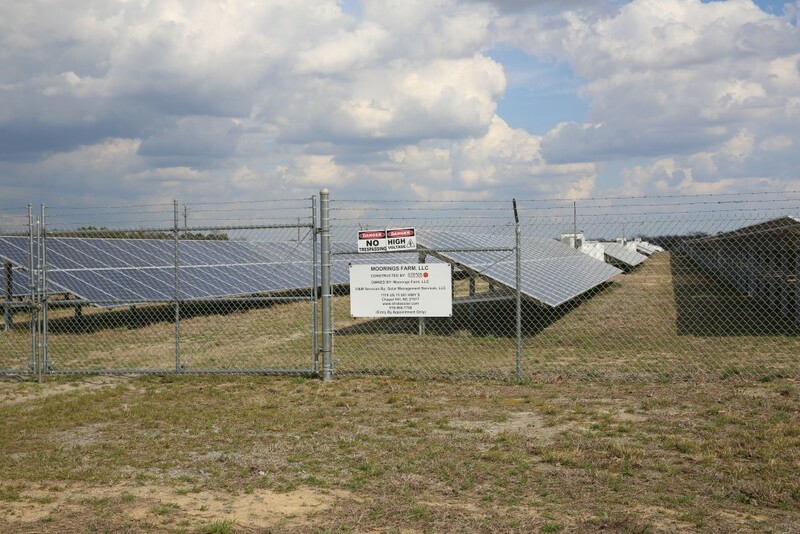 Opponents of an industrial-scale solar utility in Beaufort County rejoiced earlier this month when a state regulatory agency rejected the developer’s application to revise plans for the facility. But the David versus Goliath celebration was short-lived. Wilkinson Solar Plant appealed the split decision by a three-member panel of the N.C. Utilities Commission to the full commission Nov. 15. Oral arguments are scheduled Dec. 17. Neither party can recall witnesses or add evidence to the record. Attorneys can debate only the order and the record and answer commissioners’ questions. The panel denied Wilkinson Solar Plant’s request to modify its state-required certificate of public convenience and necessity after concerns were raised at public hearings. The ruling raised worries about several environmental issues, including potential pollution from heavy metals and chemicals used in solar panels. It’s believed to be the first case to incorporate objections about potential GenX pollution from solar panels into a formal Utilities Commission hearing record. North Carolina has deemed GenX a highly toxic substance. “I consider this a victory from God Almighty,” Wilkinson Solar opponent Kristina Beasley said the day of the ruling. She said her relief was tempered. “I do not anticipate Goliath will fall this easy,” she said, predicting the appeal. But she said neighbors in the Terra Ceia community were galvanized. “Terra Ceia was not created to be a toxic landfill, and we have every intention to prevent this from occurring,” Beasley said. Attempts to get a response from Invenergy, the Wilkinson Solar parent company, weren’t successful. Wilkinson Solar developers wanted to expand the site to relocate solar panels, a substation, and a potential battery storage facility to an area not initially approved by the Utilities Commission. The Nov. 1 ruling ended a series of successful defenses by solar developers against neighbors’ claims and concerns about soil and water pollution from toxic substances in proceedings across the state. GenX is used to manufacture some solar module components and Teflon film coating many solar panels. U.S. Rep. Richard Hudson, R-8th District, and federal environmental regulators have acknowledged potential concerns about GenX in solar panels. State regulators have said they don’t track sale and distribution of those panels in North Carolina. Chemours, which makes the Teflon film, has not responded to questions from Carolina Journal about its sales of the film in the state. The Utilities Commission panel did not rule on the community’s objections to GenX. It deferred to testimony by Invenergy expert witness Paul Thienpont. He said the manufacturing process for solar panels planned for the site didn’t include GenX or other similar chemical compounds, known as perfluorinated alkylated substances (PFAS). But the majority did note fears of heavy metals in panel materials. Thienpont testified the substances are present in solar panels in limited quantities, which the panel said doesn’t alleviate concerns witnesses raised about the cumulative effect of heavy metals in the 288,120 solar modules sprawling across 600 acres. “Thienpont was unable to fully respond to questions related to chemicals used in the manufacturing or construction process for solar (photovoltaic) panels, undermining the persuasiveness of his testimony,” the decision stated. In separate Utility Commission filings reviewed by CJ, Britton Allen, the opponents’ attorney, also questioned Jinko’s credibility. Allen submitted evidence at an April 11 hearing showing Jinko misled its U.S. investors about its solar panel pollution controls. In those filings, Thienpont testified panels planned for the Wilkinson Solar Plant passed testing by the U.S. Environmental Protection Agency. The agency classified them as nonhazardous waste eligible for landfill disposal. Under cross-examination, Thienpont said he didn’t know coal ash passed the same EPA testing, and was deemed nonhazardous. Duke Energy and the state Department of Environmental Quality are battling over disposal of coal ash. The decision found other Wilkinson Solar expert witnesses didn’t overcome neighbors’ objections that the solar power plant could cause water runoff affecting nearby properties, wetlands, and surface waters; water contamination by pollutants leached from solar panels; and potential public health risks. “The public witnesses and Intervenors’ concerns are unsupported by competent, material, and substantial evidence in view of the whole record,” Brown-Bland wrote. “The majority’s decision to the contrary is error of law,” and a breach of its traditional approach to deciding cases. She said she isn’t aware of any decision in which the Utilities Commission substituted its judgment for that of a local jurisdiction which has adopted an ordinance regulating where to site a solar power plant. Herb Eckerlin, a retired N.C. State University professor who has testified in numerous regulatory meetings about solar installations, was pleased with the ruling. “This is low-lying land, prone to flooding, requiring deep ditches to help the land drain properly.” Hurricane Florence only sharpened the focus on GenX and other PFAS chemicals, Eckerlin said. “Because the science is still evolving, EPA cannot put the lives of thousands of North Carolinians at risk. And neither can the N.C. Utilities Commission,” he said. The N.C. Sustainable Energy Association, a renewable power advocate, didn’t provide a response.